"One of the most suspenseful and intense supernatural detective novels I've read... This character grabbed hold of my imagination and made me hungry for more." Eight years ago, Soren Chase was attacked by a vicious supernatural creature that murdered his friends and stole his memory. Now a mysterious woman in a white mask is forcing him to relive that night--as both the victim and the killer. Her arrival couldn't come at a worse time. Someone is raising demons and setting them loose, and only Soren can stop them. But as the supernatural assaults grow more frequent, his visions of the past start to take an alarming toll. It's a grim race to see which might kill him first. 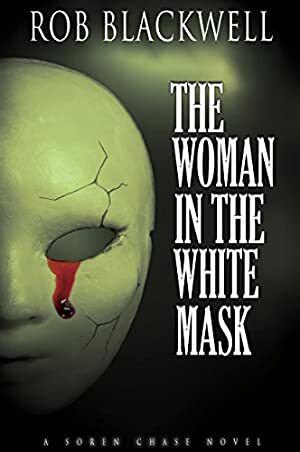 The Woman in the White Mask is the third novel in the highly-rated Soren Chase series, which mixes urban fantasy, mystery and suspense. Find out why readers are hailing it as a book with "just the right mix of thrills, action, Maltese Falcon Bogart, strong plot, characters and excellent writing." "Rob Blackwell is a master at this genre." "I literally couldn't put this book down." "In The Woman in the White Mask, I finally got the payoff that I've been waiting for since I first read Closed at Dark. The Soren Chase series is a mystery, at the core. What actually happened years ago, when Soren and his best friends were in a cabin?" We started tracking this book on January 12, 2017. The price of this book has changed 3 times in the past 830 days.